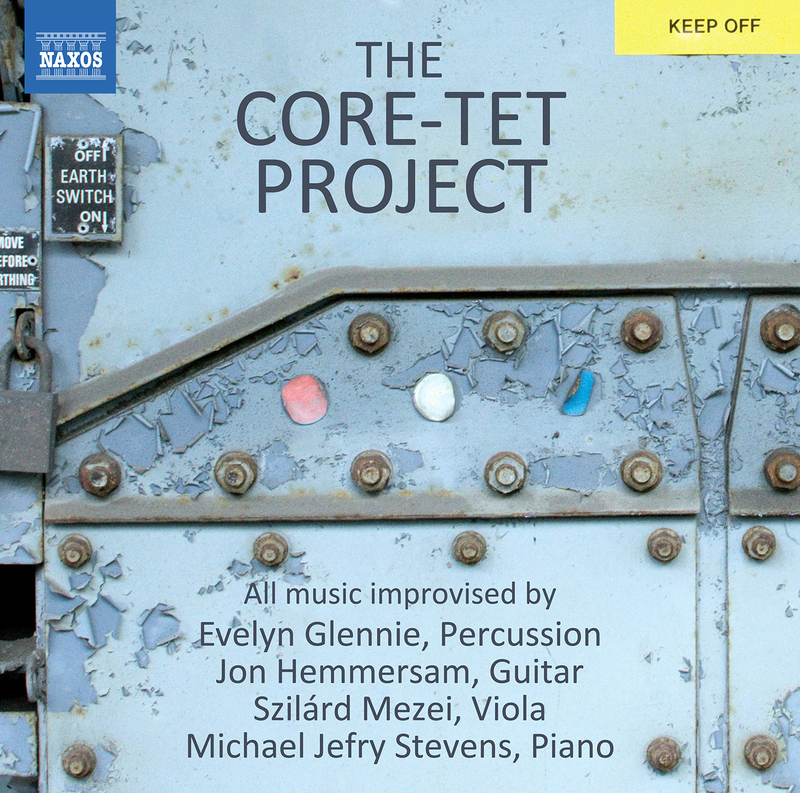 The Core-Tet Project – CD Review: Jazz Word. The Core-Tet Project – CD Review, Jazz Word, July 21st 2018. ‘Rusty Locks, with a Caribbean-styled steel-pan-like pulse from Glennie is nearly a Latin-Jazz piece expressed in pizzicato pops from both string players and a comprehensive syncopated ostinato from Stevens. Other tracks, such as “Black Box Thinking”, where Glennie’s percussion doubles into full-kit expansion from kettle drum-like resonation, the better to connect with snapping guitar strings and a viola line that almost become a hoedown, could be heard as a percussionist’s showcase. Meanwhile the vibrations, undulations, trills, slides and patterning exhibited by Stevens on “Walk of Intensity”, are dazzling even as they set up a contrapuntal program with Hemmersam’s swift strums and Mezei’s jagged spiccato.